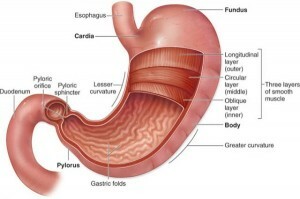 Gastritis is a group of conditions with one common problem, i.e. the inflammation of the stomach lining. Inflammation associated with gastritis normally occurs due to an infection with the bacterium that also causes many stomach ulcers. However, gastritis can also occur as a result of injury, frequent alcohol consumption and also regular use of pain relievers. Gastritis can occur rapidly (acute gastritis) or take place gradually (chronic gastritis). Sometimes, gastritis can also cause ulcers and increase the risk of stomach cancer. However, for mist people, gastritis is not a serious condition and can be resolved with treatment. Gastritis may or may not always cause signs and symptoms. Almost everybody has experience indigestion. However, most cases do not require medical care and are quite brief. However, if you experience signs and symptoms of gastritis that persist for one week or more, see your doctor as soon as possible. Make sure you let your doctor know about any triggers, for example, if medications or over-the-counter drugs cause stomach problems make sure your doctor is informed. If you vomit blood or if you have blood in your urine or stool, or if your stool is black or tarry, see your doctor as soon as possible to find out what the cause is. Treatment depends on the cause of gastritis. For acute gastritis that s caused by alcohol or NSAIDs use may be controlled by stopping their use. Chronic gastritis caused by the H. pylori bacterium can be treated with appropriate antibiotics prescribed by your doctor. Treatment plans for gastritis also include medications to control stomach acids in order to reduce signs and symptoms that may hinder the healing process if your stomach. Eat smaller and more frequent meals. Avoid having three large meals and divide them into more frequent ones to treat indigestion. Avoid foods that irritate the stomach. These include acidic spicy, fried or fatty foods. Drink alcohol in moderation or avoid it completely. Alcohol can irritate and inflame the mucous lining of the stomach. Therefore, either stop consumption completely or restrict consumption to one drink per day, for women and two drinks per day for men. Change your pain relievers. Consult your doctor and ask about what other alternatives are there that may be less aggravating for your stomach. Control stress. Stress can worsen gastric problems. However, stress can be difficult to avoid, therefore, consider relaxation techniques or calming techniques such as yoga or meditation.